Do you consider yourself a morning person? Are you someone who loves to get up bright and early and has energy and vocal cords that work by the break of daylight? I am not. The only decibel level that I would choose in the household before eight a.m. is silence with the exception of the putt, putt, beep of my coffee maker. Of course silence is just not possible in a family life with kids. No matter whether you see yourself as a morning person or not, mornings in households with children can be chaotic. “Where are my gray pants?” asks your oldest child. “They’re in the laundry.” you respond. “Mom (add whiney tone), I can’t go to school without those pants!” There seem to be all kinds of issues that become critical in preparation for the day including producing breakfast, packing lunch, putting on appropriate clothing for the weather, and getting out of the door on time. However, there are ways to create a great start with your family each day. Borrowing from successful schools, you too can create a predictable routine in the morning that assures fun, connection and readiness for learning through a process called Morning Meeting[i] (developed by an excellent evidence-based social and emotional learning school program, Responsive Classroom). Similarly at home, it’s the routine and ritual of morning time and brief but important connections made that can pave the way for children and adults to have clear expectations about the day and carry out the responsibilities of the morning smoothly without nagging and hassle. If you feel stressed early in the day or the household feels chaotic, here are some ideas for creating a truly good morning. First, take a moment to think about what makes that time feel out of control. Is it about time pressure? Are there arguments that occur time and again? If so, what are they? Think about those specific morning stressors as you read through the following ideas and think about how they might be addressed. In addition to preparation, the ideas to be implemented in the morning take mere minutes but can make the difference in creating a regular opportunity for a truly good morning. This is a good time for you to evaluate your own role in the morning. What stresses you? What can you do about it? Do you need more time in the morning? Can you get up any earlier? Can you enlist your partner to help with a portion of morning preparations regularly or periodically? Do you compete for the bathroom? Do you need to talk about and adjust the adult routines to create less stress in the morning? Small adjustments can mean the difference in starting off the day better. It is interesting how it is so easy to take for granted those people that mean the most to you since you see them every day. Greeting each member of the family every morning may seem basic and even ridiculous but since it can mean the difference between feeling connected or disconnected, starting off your day well or distressed, it’s worth mentioning. A simple “Good Morning.” with a hug or kiss or touch can be all you need to model for children how they should greet a person. Greeting others is not something that children know or learn automatically. In fact, have you encountered children who are unable to look you in the eye and greet you? 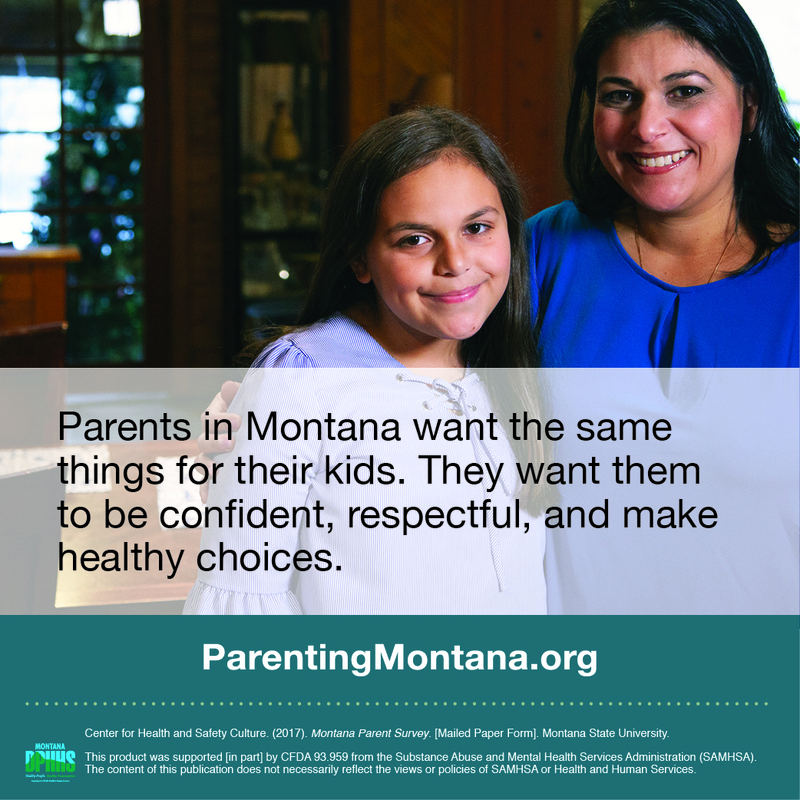 There are children in middle and high school who still are unable to greet adults when they are addressed with a simple “Hello.” Model this practice each morning by greeting your children and your partner. It may take a little effort, but once you are in the habit, you won’t need to think about it and your family will benefit from that quick reminder each morning that all members are seen, recognized and appreciated. Taking a moment over the breakfast table or on the car ride to school to share hopes and expectations for the day can help calm nerves and help children become ready for the school day and learning. So many things occur while children are at school and commonly, children only relay a small fraction of what occurs. So there could be worries of which you are unaware about other children, teachers or subjects that are on their minds prior to the start of the school day. Model first by sharing your own hope for the day. “I hope we see some sunshine and can get outside at least a little while to play today and take a walk after school.” “What’s your hope for today?” And take this opportunity to let your child know what’s planned. Are there any special events? Do you know what they are going to be learning about? What’s special about today? Setting expectations can help provide a smoother transition into the learning environment at school. And finally, remind your child of when you’ll see them next. Remember the days in preschool when your child clung to you with strength and passion and tears and didn’t want you to leave. Kids all the way through the teenage years experience those healthy feelings of attachment to their parents though they learn not to show it in those ways. Let your child know when and how you’ll see them next and they’ll begin their day with the confidence of knowing that home and a trusted parent awaits at the end of their school day. And of course, no child can hear the sacred words, “I love you and I’m proud of you.” enough so use this daily parting as yet another excuse to say it. These small efforts are worth it to create a truly good morning. [i] Kriete, R., & Bechtel, L. (2002). The morning meeting book. Turners Falls, MA: Northeast Foundation for Children. 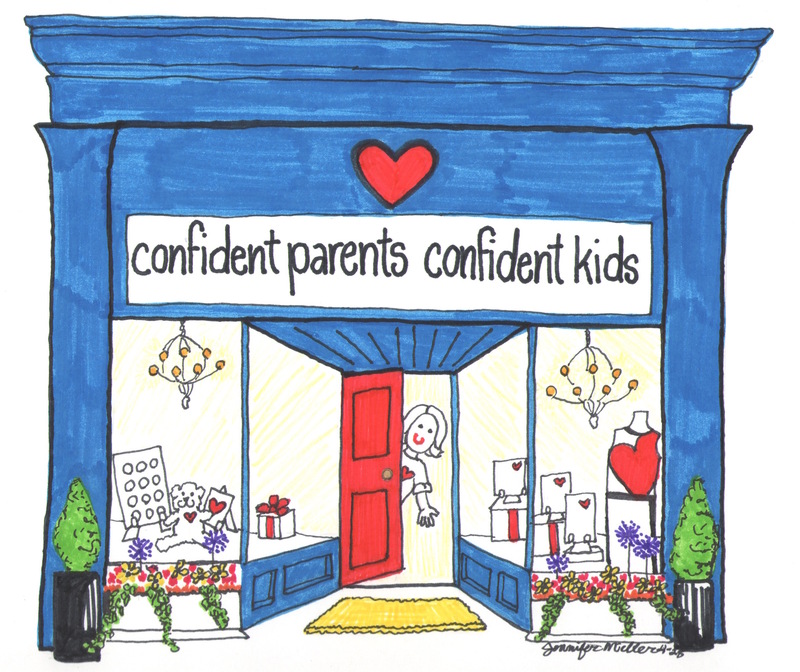 Confident Parents, Confident Kids wishes you a happy new year! We are spending this holiday season with family and friends but will return next Friday and each Friday with high quality, relevant articles to support you in being the best parent you can be — teaching social and emotional skills and creating a caring family environment at home. In 2013, we hope you will join the dialogue! When you think about resolutions, goals and plans for the new year, consider setting this as a goal for your family. Since Christmas is the holiday I celebrate in the coming week and toys are filling my head and attic, I thought it appropriate to focus this article on the importance of play in a child’s life. In our household, we’ve decorated the Christmas tree with ornaments that remind us of vacations, happy times, Christmases and relatives. My husband and I, in addition to wrapping up work, are busy getting gifts, baking cookies, writing cards and hosting gatherings for all of those friends, teachers and colleagues who have played a meaningful role in our lives this year. We are also busy thinking about, planning for and buying gifts for our son that will give him joy and engage his imagination. We – like many – hope for a magical Christmas in which our family feels a sense of joy in giving, in our connectedness as a family and in an appreciation of the good life that we have. A good part of my child’s happiness is centered around play. Play is the vehicle through which some of the most fundamental developmental leaps of learning take place. It is the central vocation of childhood. And toys are the tools of the trade. In some developing countries where toys are not readily available, children play with the tools of the household imitating the adults around them to learn how things work. While I cook on the real stove, Ethan bakes a batch of cookies in his play kitchen set. Development, moving from one level of thinking and ability to the next, takes place when a child is in a window of time in which he/she is ready (developmentalist Lev Vygotsky called it the zone of proximal development). Play moves a child toward those next steps when they are ready. And interaction between a child playing with a more competent adult or older child can help facilitate those developmental jumps. When does a child stop playing? When does play stop enhancing a person’s development? It doesn’t ever have to stop. Teenagers engage in play with video games, puzzles, board games, novels and social fantasies. As adults, though we have less opportunity for play, we do engage in creative endeavors that often times are the most fulfilling because they come from our intrinsic desires to express ourselves. So my holiday wish for you is that you take time to play. Get down on the floor or if you have back troubles like my husband, sit in your comfy chair. Play can take place anywhere with many toys or none at all. You could be on a bus, a train or an airplane and if you’ve brought your imagination along, the sky is the limit. Here are some easy ways to engage in play this season. Just do it. Get down on the floor and play. Engage in the interests of your child and see where it takes you. Build a new track system for a train. Rearrange a dollhouse. Build a fort of pillows. Take a mental trip. Read a book together or if you feel particularly creative, close your eyes with your child, decide on a destination (the beach, Grandma’s House or Outer Space?) and describe your incredible journey to get there and what and who you encounter when you get there. Include details of the experience from your five senses and you will help transport you and your child. Build a story. Look back at photo albums from former trips and vacations. Make up a story together set in your favorite location. Buy toys that engage the imagination. Costumes are a terrific way for a child to engage in pretend play. You can likely find some dress-up clothes in your closet. But toy stores also sell a variety of occupational dress-up clothes (chef, police officer, fire person, postal worker, train conductor, princess). Any play sets that involve characters (people, animals, trains, cars, fairies) engage the imagination. Toys that are household tools like blenders, screwdrivers and vacuums are ways that children can play grown-up. For young adults, games, chemistry sets and art supplies can be both fun and engaging. Reap the benefits of one of the greatest gifts your children can give – attention and presence in the moment. Children naturally have the gift of mindfulness, being aware of what’s going on at the moment it is happening. They learn in time from the adult world to multi-task and become distracted and scattered. But inherent in children is the ability to focus on something they are truly interested in through their creativity and imagination. Take advantage of that gift and experience a sense of timelessness, of “flow.” Turn over rocks in the garden and see what’s there. I try to “walk the talk” so after I wrote the draft of this article, I played with my son for an hour before it was time to make dinner. I let him lead and cars zoomed off cliffs. The big yoga ball came out for some crazy rolling. Tickling ensued and Daddy joined in. I laughed until my belly ached. So that is my wish for you this holiday. Play! May your belly ache with laughter! And this is the very reason why the events of Sandy Hook Elementary School have shaken us all to the core. Because it is our very exposed heart that has been wounded. It’s inconceivable that innocent children’s lives have been taken in what is supposed to be a safe haven, a daily environment in which we entrust our most sacred heart. The friends and family that I’ve spoken with about the occurrence have consistently said, “I have to do something. It’s not enough to be horrified and sad. I have to take action.” And so what can anyone do to make a difference – to heal a gaping wound and to prevent something like this from happening in the future? I too am eager to do something. Here are some ideas to get started. Begin at home. Make sure you are really connecting with your children daily. Disconnect to connect. Iphones, pads, and other devices have become vehicles for connecting with everyone except those we are physically with – typically our most intimate family. Because the beeps, light flashes, and constant press of these machines bring our attention back to the device, it requires great discipline to put them down, turn them off, and tune in to our children. Set a timer for yourself if you need to but give your children your full, undivided attention even if it’s only for a short time each day. Find out what’s going on in their heads and hearts. Laugh together. Talk and, most especially, listen well if they are scared or upset. Be patient if deep connection doesn’t happen immediately. If you’ve been disconnected, then it takes time to build trust. We can see now that that connection is critical in keeping them and others safe. Partner with your child’s teacher. Ask if there are ways you can support your child’s teacher in building community amongst classmates. Teachers are often open to parents coming into the classroom to share experiences, read stories or give presentations on their careers. Making a personal connection with your child’s teacher will enhance communication, develop a trusting relationship and create a stronger alliance between the school and your family. Take it a step further if you are interested and able and volunteer as a teacher’s aide in the classroom regularly (weekly or monthly). Research shows that students perform better in school when parents are involved. But in addition, students are safer if parents are directly involved with the teacher and the classroom. Partner with your school. It’s likely that your school is reviewing their crisis management plan and communicating it to parents. If they aren’t, then they should be and you can advocate for that to take place! You should be aware of what they plan to do in an emergency including a situation like Sandy Hook. How you will be notified and what role you can play? That plan should be in writing. It should include a plan for communications amongst school staff but also, with families and with students. How will students be directed in an emergency? How will a tragedy be talked about with students after it has occurred? Is there a forum for conversation that is a safe, trusting space? But in addition, make sure that there are conversations and a clear plan for prevention. Advocate for school-community supports. What supports are there for students who need more than the school can offer? In schools, these are typically referred to as “intervention supports.” If the response you receive is “We have academic tutors for those students who are not performing academically.” That’s not enough. What supports are there for students who need emotional and social assistance beyond what the school personnel can directly address? The students you may be thinking of are the 5-10% of a school population who act out and demonstrate clearly anti-social behavior. Certainly there need to be supports for those children. But in addition, nearly every child in a school at one point or another during their school career needs additional emotional support that a teacher likely will not be able to provide. My parents separated when I was in sixth grade and I needed to see a counselor during that time. I hadn’t needed outside supports my entire school career. But I needed it then. So considering that many children will need additional support, the following questions need to be addressed. The schools with which I work have a social worker or counselor who is primarily responsible for cultivating trust between families, students and the school. They work closely with teachers to identify those students who are displaying risky behaviors and ensure that students who need more support than a classroom teacher can reasonably provide, get that support in the community. Parents confide in that person when a relative dies or a family member is admitted into rehabilitation. The social worker guides the family through the support-seeking process so that the intimidation or embarrassment is reduced and the family gets the help they need. Promote school-family-community connections. Preventing a crisis from occurring also involves connection. Families need to feel connected to the school. Students need to feel connected to the school and each other. Teachers need to feel connected to students, parents, the principal and the larger system. Research-based positive school climate, social and emotional learning and character education initiatives all have the potential to build a sense of connectedness between all individuals in a school community if this is seen as an explicit goal. Greater communication among caring adults means that problems are identified quickly and at the start so that they can be addressed before they escalate to the point of a crisis. The profile of individuals who perpetrate school shootings is typically that of an introvert, sometimes, the victim of bullying, but often, a student that goes unnoticed. In schools with which I work, there is no child that goes unnoticed. Every person – staff and students – is greeted each morning through a Morning Meeting. Each student gets the opportunity to share something about themselves daily. This – connectedness in school communities – is the way that we turn this problem around in the long term. But it requires work and commitment on everyone’s part to make it successful and sustain the change for the benefit of all. Advocate for policy and practice change. Though social and emotional learning in education has made great strides in influencing the way schools operate in the past 20-30 years, there is still much work to do. The conversations around education nationally continue to focus on the three Rs (Reading, Riting and Rithmatic) and seem to often neglect and marginalize the other critical three Rs (Respect, Responsibility and Resilience). That must change. The national conversation on educational essentials must include our current realities. Students need to be prepared for the global knowledge economy with creative and critical thinking skills, collaborative abilities, strong communication competencies, respect for differences, and the ability to think responsibly and ethically in their decision making. Those same students need to be self aware and become practiced in controlling their impulses and managing their emotions to keep themselves and their loved ones safe. Write to your local politician, your Congressional leaders, your President and Arne Duncan, the Secretary of U.S. Education. All these individuals need to hear consistently that addressing the social and emotional development of kids and promoting connectedness in schools is not a “nice-to-have” but has become an essential for the education of our citizenry. Of course, sending positive thoughts or prayers to the families affected by this tragedy at Sandy Hook Elementary is something we all can do. I hope you will make a commitment to taking action in your own way. If you need support in doing so, please call upon me or the following organizations to help you along the way. Though all of them are located in the United States, many of them will have resources that extend globally. Our goal is to promote positive and sustained school climate: a safe, supportive environment that nurtures social and emotional, ethical, and academic skills. NSCC is an organization that helps schools integrate crucial social and emotional learning with academic instruction. In doing so, we enhance student performance, prevent drop outs, reduce physical violence, bullying, and develop healthy and positively engaged adults. Thanks Bzz for a Cause and Jill Smith for sharing this! My heart goes out to all in Newtown, Connecticut and particularly the families effected by the shooting at Sandy Hook Elementary School. I am sending out my candle of light to you in this time of darkness. No words can adequately express the collective sorrow for your loss. The holiday season is an ideal time to help children learn about the joy of giving. When parents teach children to think about their giving, it teaches critical skills in self awareness. For example, the gift giver must think “What talents or abilities do I have that could be utilized to create a special gift?” It also teaches social awareness. Children gets lots of practice making wish lists, looking through toy catalogues and generally, itemizing the many things they want. But thinking about and planning for gift giving also gives them practice in thinking about what other people like and enjoy. The thought process also involves children in a form of problem solving since they need to use their creative thinking to generate ideas for gifts. Don’t get discouraged if a child initially comes up with gifts for Grandma that resemble or are identical to what the child might have on their own wish list. That’s part of their learning process. Grammy likely doesn’t want a Lalaloopsy doll for Christmas or a Lightening McQueen car for Chanakuh. However you can begin to help guide their thinking process to come up with ideas that might resemble something a bit closer to what Grammy might actually like or be interested in. Here are some simple ways to teach the art of giving. …about your own giving. You likely thought aloud often when your child was a baby. As you were going about your daily activities, many parents naturally narrate their lives to help a baby come to greater understandings about their environment and also develop language skills. This may feel awkward at first but remember those baby days and utilize that strategy as ready teaching tool. “I know Aunt Sue loves to knit so maybe I’ll get her some new yarn and knitting needles.” “And I need to buy a gift for Grandpa Bob. I know he fishes and works on his boat. Maybe I might find something for him at the sporting goods store?” Just articulating your own natural thought process in front of your child will help him or her begin to think in terms of what others interests might be. …for a response from your child. What do we know about Grandma Helen? What does she like to eat? Wear? Read? How does she spend her time? Ask guiding questions about the gift recipient (take one person at a time). Unless a child’s idea about a person’s taste and interests are completely outlandish, go with it! 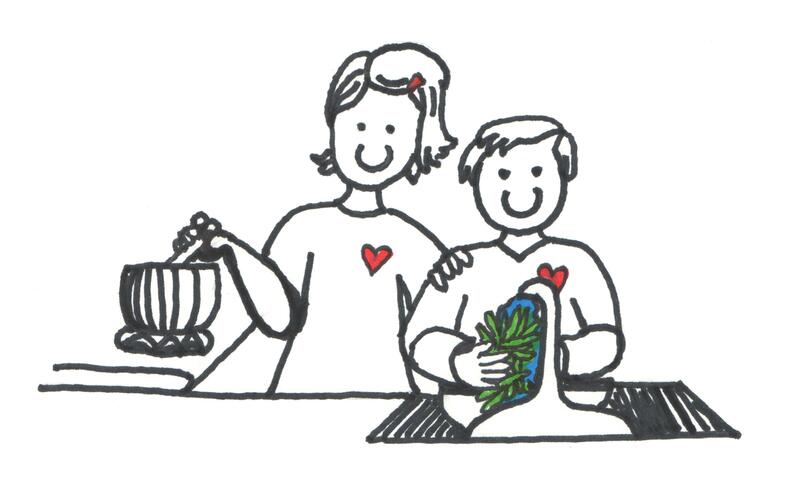 By accepting your child’s ideas as valid, you will be encouraging them to think more about giving. If your child comes up with expensive ideas, think about ways you might alter them to make them possible. 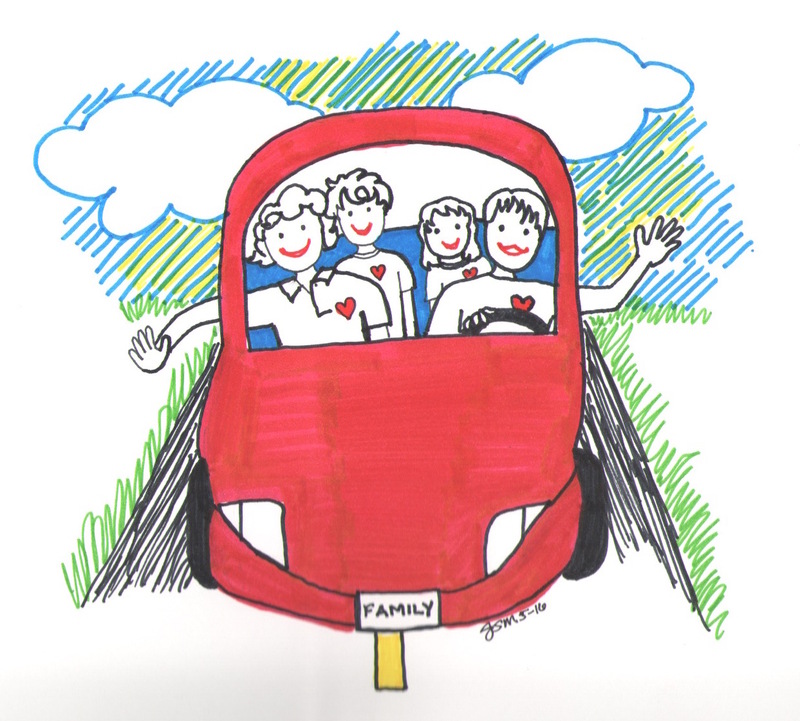 If your child knows that Grandma really needs a new car, maybe your child could draw a picture of a new car she might like. Or maybe you could think about an inexpensive item that she could use to spruce up her current car. As a small child, I knew my Mom liked rings so I cut out a bunch of paper rings and put them in an envelope for her for Christmas. I know it touched her and she keeps them to this day. Adults in your child’s life will appreciate the thought that went into your child’s gift for them. …to create a homemade gift for those you love. Is your child a good photographer? Put together a photo collage. Can your child play an instrument? Have a recital or prerecord a song for a loved one. Does your child enjoy art? Have your child draw a portrait of the gift recipient. Has your child learned to write a short story in school? Have them write a short story including the person you are considering. Encouraging children to use their talents creating a gift builds their self confidence and teaches them that often the best gifts are ones that come directly from the heart of the giver. …any gift in return. One easy opportunity to involve your kids in giving when a gift will not be expected in return is to give a gift of appreciation to a teacher. Teachers typically do not have the resources to give gifts to each individual child. And there is a clear reason to give a teacher a gift thanking them for the daily contribution they make to your child’s life. Create a gift from the heart for a teacher and it will be appreciated. For example, bake goodies, make a pencil holder out of a jar and construction paper, or frame a class photograph. You can also involve your child in service to your community. Many opportunities exist this month if you plug into them. Pick out food together and take the donation to your local food bank. Adopt a family through an agency and buy necessities and presents. Donate coats to an appropriate nonprofit organization. UGive is an online volunteer matching organization that provides specific opportunities for students and for parents in the U.S. Kids at Pitt River Middle School in Coquitlam, British Columbia began the “Breakfast Club.” They anonymously perform random acts of kindness throughout the school. Watch the powerful YouTube video and grab your box of tissues. The kindness in the school changed the quality of the relationships and the culture of the school. People felt more connected to one another. You can do this in your family life too. 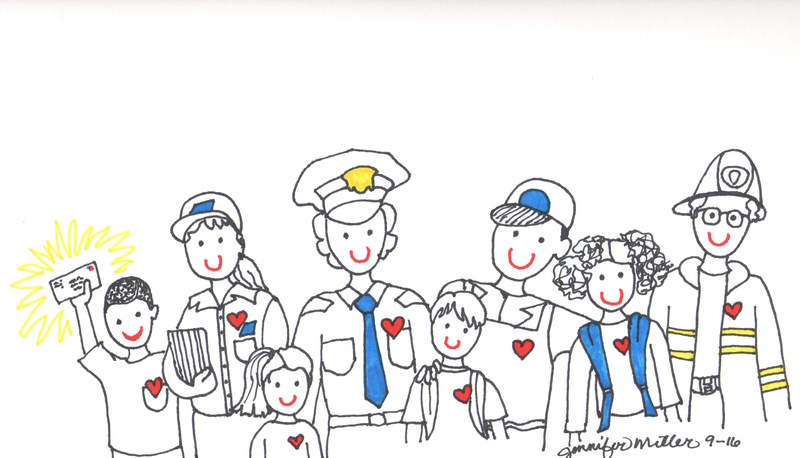 Make service a part of your holiday tradition and it will enrich your entire family. The beauty of using your own giving to create teachable moments is that it doesn’t have to take a whole lot of time, energy or planning. Just be sure to include your child in gift giving discussions as part of your routine for the holidays and see what emerges. I suspect you might have a child who experiences the joy of giving. This is it! Don’t get scared now! This morning I woke up with nervous butterflies uncontrollably circling in my mid-section. I dreamt that I had entered a race but in the midst of many familiar faces, could not find anyone who knew the starting location with only a few minutes left until the starter pistol was to be shot. Ready or not, we are off to the races with the start of the holiday season. No matter which holidays you celebrate – Christmas, Chanukah, Kwanzaa or another, you likely have a full calendar of events this month with responsibilities to go with it. Because it’s easy to anticipate that life will be more chaotic, you can also anticipate that children will feel the pressure and be more emotional this month. There may be more upsets, more anger and more frustration and since there will be less time to deal with it, children can get overwhelmed more easily. We all can! Knowing this is the case, what can you do in preparation? In the hustle, bustle and excitement of the season, a meltdown can sneak up on a child. Hunger, tiredness or frustration with crowds and chaos can boil over at a moment’s notice leaving a child feeling helpless and out of control. First and very practically, keep a protein snack in your car, travelling bag or purse at all times (peanut butter crackers, cheese crackers). You may feel like you are constantly eating over the holidays but children are much more interested in playing and experiencing the excitement of all of the people around them. They may eat less rather than more. Also, sugar will be abundant in its many tantalizing forms so having some quick protein on hand can indeed save the day when a child’s attitude and blood sugar plummet. Late nights and lots of time out and about can be exhausting for everyone. Be sure to look for opportunities for a little extra sleep or rest time in which children can be quiet. If you need to, schedule a quiet time each day. It doesn’t have to be long. Model and benefit by making a cup of tea and sitting down with a magazine or good book yourself. For the child, set up a stack of library books, puzzles, or a short pre-selected video. Those moments of down time can boost endurance for the big holiday marathon. How does your face feel when you are getting upset? What happens if you stay in the situation that’s upsetting you? What could you do if you feel those signs (face getting hot) to slow down and stop from getting more upset? Through your questions, work together to identify ways to deal with the feelings in the moment. Ideas may include practicing slow breathing, holding a favorite toy or “lovey” or moving to a quieter place. If they cannot help themselves, they could consider going to an adult for help. A great way to involve your child in the solution is to create a signal (hands on the cheeks like Mcauley Culkin in Home Alone?) that is private for only the two of you so that you know when she’s getting upset and needs a break. This agreement may save you both from embarrassment and make your holiday more joyful. Be sure the whole family has a game plan for dealing with the chaos. Having a discussion in advance of holiday plans with your parent partner about how you can work together when challenges arise will ensure that there’s not an additional meltdown between the two of you. Here are some key partnership agreements that will allow you to coordinate as a team. 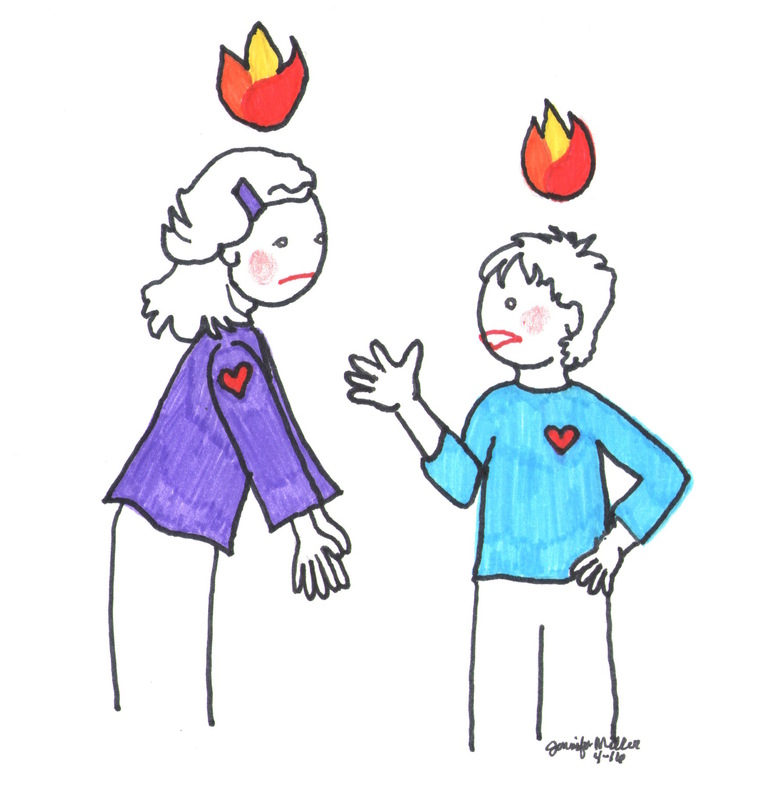 Agree on a response when a child gets upset during a party or in the middle of a shopping mall. How will you both handle the situation? Which one of you will take the lead in dealing with it? Will the other distract the siblings to help? Will you designate a meeting place after you’ve addressed the issue? Will you decide instead to leave? 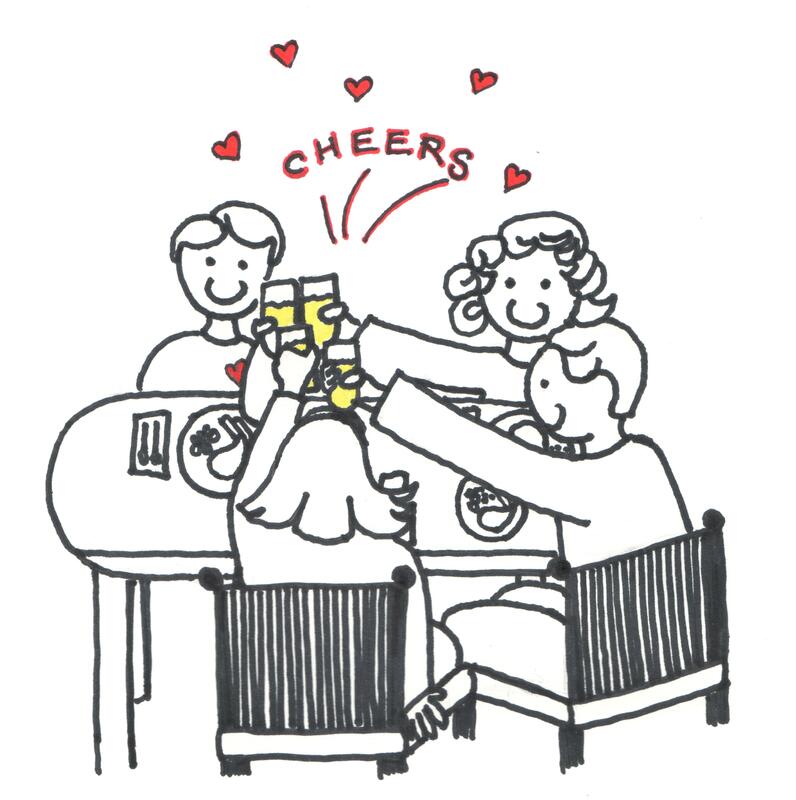 Agree with your partner in advance of a party how long you are going to stay and then stick to the plan. 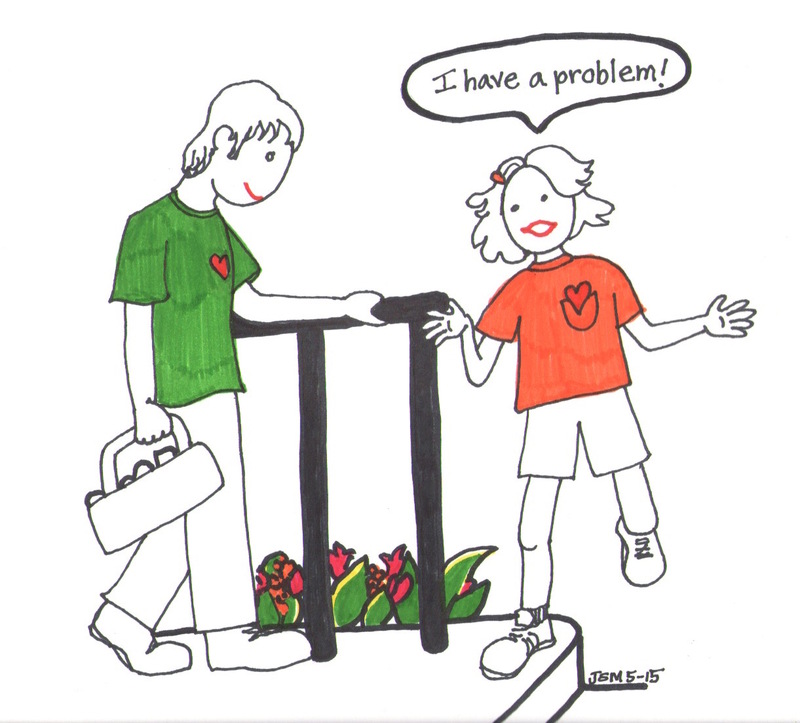 Who and how will you set the childrens’ expectations and give them warning so that there is only cooperation when it’s time to leave? Decide upon family signals that feel natural in a circumstance. Between partners, it’s helpful to find a signal that signifies that one or more of the children needs a break and it’s time to leave before there’s a problem. Just the simple act of talking about what to do in stressful circumstances can set all family members’ minds at ease. Expectations are set. Agreements are made. And all know what to do in case of difficulty. The holidays can be the “most wonderful time of the year” but acknowledging the stress that accompanies the season can go a long way toward alleviating some of it and creating more opportunity to fully experience your family being together and the many moments of joy along the way. Thanks to Maurice Elias, Professor of Psychology at Rutgers University, Author of Emotionally Intelligent Parenting, and Edutopia Blogger, Confident Parents, Confident Kids is featured today on Edutopia, the George Lucas Foundation’s website. Check out the blog article below and then, check out this excellent website with loads of valuable resources.